Guys, we admittedly got so caught up in Baby Georgie and all his news that we forgot about the other, very important, semi-royal babies: George and Sybil, of course. 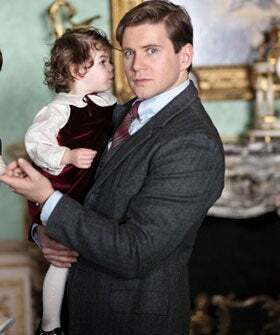 But, judging from the preview photos for season four of Downton Abbey, they both turn out to be remarkably adorable. And why not? Just look at their parents.